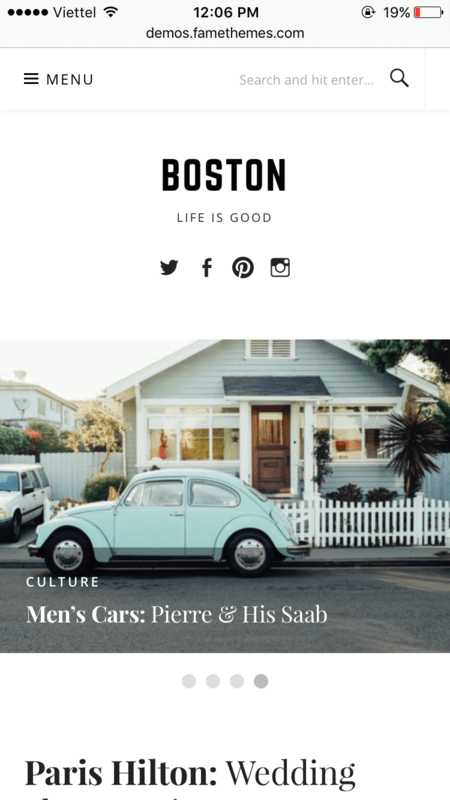 Boston is the perfect combination of power and simplicity in a WordPress News & Magazine theme. Showcase up the recent Blog Posts in the header area with stunning Featured Content Slider. 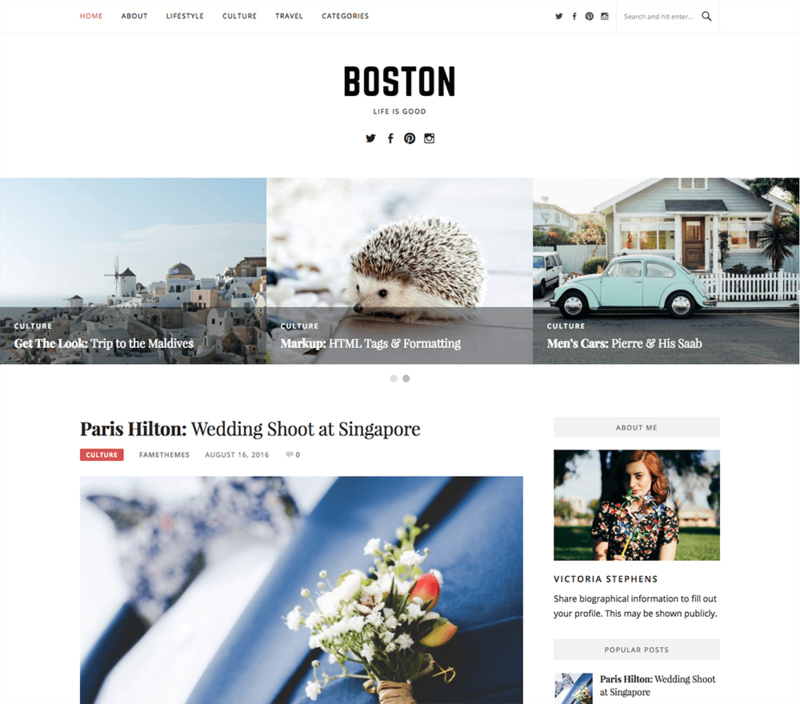 The Boston Pro comes with 4 different layouts for blog posts and article page. The Boston Pro includes almost google fonts letting you choose your favorite fonts or the one matching with your site most. Display the latest Instagram image after footer widgets. Add your own copyright and remove designer credentials and other data very easily. Did you know there is a FREE version of Boston Pro?